Providing the highest quality care to patients. Leading research and training in medicine and health. Learn more about our partners in the South West. Information about the partners we work with at the Faculty of Medicine and Dentistry. Plymouth Community Healthcare (PCH) provides community, physical and mental healthcare for around 270,000 people in Plymouth as well as some specialist services for those living in Devon and Cornwall. PCH is a Community Interest Company and is an independent health services provider separate to the GP-led commissioning organisations. We work as part of the wider NHS family in a similar way to GPs, dentists and pharmacies. Plymouth Community Healthcare is committed to fairness and equity and values diversity in all aspects of its work as a provider of healthcare services and as an employer of people. We constantly strive to ensure services are fully inclusive and accessible, meet the health needs of the local community and seek to build a workforce that is representative of the community it serves. We work together with others to help the local population to stay physically and mentally well, to get better when they are ill, and to remain as independent as they can until the end of their lives. The Horizon Centre, an exciting innovation, education and research facility based at Torbay Hospital is one of just five flagship NHS Centres for Innovation and Training. 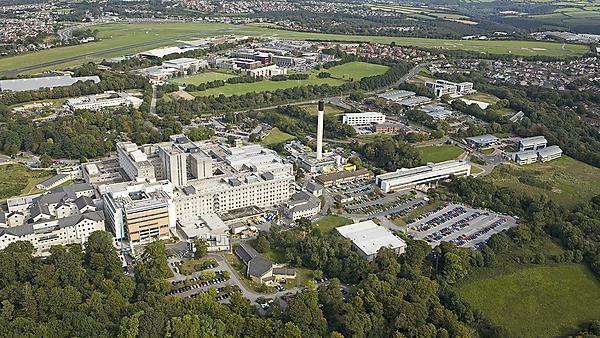 Serving the NHS workforce, the aim of the centre is to provide a state-of-the-art environment where people can explore new ideas, learn new techniques and observe and reflect on clinical practice together. Investment in innovation, education and research is key to improving the delivery and quality of patient care. The Horizon Centre at Torbay Hospital provides a local, regional and national ‘Centre of Excellence’ where this can take place. The centre caters for a myriad of educational activities. From highly complex clinical procedures to the base-line skills required by the NHS workforce, the centre provides an environment where learning can thrive. Areas of current specialist educational expertise include elective care, ophthalmology, ENT and endoscopy. More information about the Horizon Centre. Peninsula Postgraduate Medical Education is responsible for the commissioning and quality assurance of postgraduate medical education and training across Devon and Cornwall. It provides support for GP Training, Foundation Training, Core Training and Specialty Training for all trainees within the Peninsula. Health Education South West is part of Health Education England and under the direction of the Postgraduate Dean, Professor Martin Beaman. Our vision is to promote the delivery of high‑quality patient care through the provision of a highly skilled medical workforce. The aim is for the medical workforce to be skilled in all aspects of patient care and be equipped to develop and modify their knowledge and skills in line with the changing needs of the service in the future. This means that all doctors completing training within the south west will be fit to practise, fit for purpose and able to adapt in an ever changing health system. We are particularly proud of our working arrangements with Plymouth University Peninsula School of Medicine and the Foundation Postgraduate School here in the Peninsula. We have consistently been ranked highly in General Medical Council (GMC) surveys. Our Quality Team is responsible for the quality management of all training programmes and posts within the South West Peninsula. The purpose of quality management is to ensure that each training programme curriculum is being delivered to all trainees, in accordance with standards developed and quality assured by the regulator, the General Medical Council (GMC). In order to ensure these standards of postgraduate medical education and training throughout the United Kingdom, the GMC has published “The Trainee Doctor” (GMC, 2011), providing a framework and a set of standards that we must adhere to, and be able to demonstrate on an annual basis. Throughout the quality management process we work with various bodies, including trainees and local providers, to ensure that each trainee receives the necessary support, guidance and training to aid their personal and professional development. Through these processes we aim to ensure the provision of a highly trained and skilled medical workforce for the patients of tomorrow. Peninsula Dental Social Enterprise (PDSE) is a Community Interest Company (CIC) which is responsible for the dental clinical facilities for the Faculty of Medicine and Dentistry. The company ensures the clinical education and training of dental students is of the highest standards, and by doing so, provides a dental service to local communities. CICs are limited companies with special additional features, created to conduct business or other activity, for community benefit and not for private advantage. Registration of a CIC has to be approved by the regulator who also has a continuing monitoring and enforcement role. Peninsula Dental Social Enterprise CIC has a community ethos and is driven by the principles of good corporate governance embracing integrity, objectivity, accountability, openness and honesty. Peninsula Dental Social Enterprise CIC has strong links to other social enterprises, and to NHS provision in Devon and Cornwall to ensure the activities complement and enhance local health services. Partnerships with the local NHS to drive innovation in education and healthcare are paramount to our success. We ensure these benefits are enjoyed by local communities through our commitment to social and professional engagement. Cardiac services at Derriford Hospital are provided in the purpose-built South West Cardiothoracic Centre within the Terence Lewis Building, a state-of-the-art centre opened in June 2007. Using the latest techniques and advanced technology the Centre offers the full range of adult cardiac surgery other than transplantation. Since the Centre opened results have been consistently excellent and are amongst the best in the country. The Centre is considered to be one of the leading experts in bypass, valve, and aortic surgery. The hospital is currently the UK teaching centre for both atrial fibrillation ablation (ultrasound) and endoscopic vein harvesting. The British Antarctic Survey, part of the Natural Environment Research Council, is responsible for the UK’s scientific research in Antarctica. The survey’s medical unit (BASMU) is based at the Trust’s site within Derriford Hospital. The presence of BASMU within the Trust helps to support medical research on new and ongoing research projects appropriate to Antarctic Station crews. The proximity of BASMU has also facilitated the development of a Master of Science in Remote Healthcare qualification that is focused on clinical responsibility and research and is awarded by Plymouth University. The NHS South West Dental Postgraduate Department is a multi-professional organisation providing education and training for the dental team, dentists and dental care professionals (dental therapists, hygienists, nurses and technicians), across the South West of England on behalf of Heath Education England. Plymouth Hospitals NHS Trust is the largest hospital in the south west peninsula and the designated major trauma centre for the area. Our geography gives us a secondary care catchment population of 450,000 with a wider peninsula population of almost 2,000,000 people who can access our specialist services. The population is characterised by its diversity – the rural and the urban, the wealthy and pockets of deprivation, and wide variance in health and life expectancy. The proportion of our population aged 85 or over is growing ahead of the national average by approximately ten years, giving Plymouth the opportunity to innovate on behalf the nation in services for the elderly. At Derriford Hospital, we offer the widest range of hospital-based services in the peninsula. What sets our Trust apart from the majority of acute hospital trusts is both the scope and scale of the services we offer on one site. We have over 6,000 staff including one of the largest military units attached to any hospital in the country. The Trust performs well against a number of key NHS indicators. For instance, The Dr Foster Hospital Guide 2013 shows we have a survival rate which is approximately twelve percent better than expected, making Plymouth one of the best hospital trusts in the UK. We have won and been short-listed for numerous awards, and won a national patient safety award in recognition of its achievements in reducing healthcare associated infections. Plymouth’s clinical research continues to have an excellent reputation locally, nationally and is building internationally. We were identified as the second highest 'Large Trust' recruiter to NIHR portfolio trials in the Guardian Trust research activity league tables 2013, reflecting our 591 active studies, of which 232 are currently recruiting, with 141 of these having opened in 2013/14. In excess of 4,600 patients were recruited to clinical trials during 2013/14 and we remain the highest recruiter to interventional trials in the south west peninsula. Our delivery is supported by more than £2million funding from the National Institute for Health Research (NIHR) which is used to support research staff, facilities and training to provide the capacity to underpin and grow research. The growth of our clinical trials and research has been significant over the past five years, with aspirations to further increase the number of patients recruited to trials by fifty percent over the next five years and, in future, to be able to offer all patients the opportunity to take part in a research project. The research environment continues to change and, in line with the Department of Health’s Corporate Plan for 2013/14, there is the drive for people to live better and for longer. This mantra can only be delivered through research, with one of the key areas for improvement being the treatment and care of people with dementia. Dementia research is a key area for growth at Plymouth Hospitals, in support of the government remit for the UK to improve ‘treatment and care of people with dementia, to be among the best in Europe through early diagnosis, better research and better support’. Plymouth is amongst one of the few south west centres successfully delivering research projects and a growing portfolio, for patients with Alzheimers, supporting the area’s older stable population. We continue, in partnership with Exeter, Truro, Torbay and North Devon hospitals, to be a Quintiles Peninsula Prime site for commercial research and are integral to delivering the Peninsula’s prime site targets for number of trials set up and patient recruitment. Plymouth’s leading practice in research and development pathways for the delivery of research continues to be used as an example of best practice across the peninsula. The Faculty of Medicine and Dentistry has close working relationships with general practice with over 64 practices in Cornwall, Plymouth, Torbay and other areas in our region providing placements for our students. This ensures students gain experience of general practice in rural, inner city and suburban settings and are able to develop their skills as they progress throughout the programme. General Practice provides exciting and crucial opportunities for Medical and Physician Associate students to understand more about managing chronic, complex and acute medicine in the community, as well as understanding the role and expertise of the GP and the range of health care team members. Experiences in General Practice placements include meeting patients and families in the surgery and in their homes, observing GPs and other health professionals at work (such as complex needs matrons, pharmacists and practice nurses), conducting supervised consultations and technical procedures and taking part in a range of healthcare activities, from helping out at flu clinics to undertaking audits. As well as providing placements for students, many of our local GPs have additional educational expertise and qualifications and deliver other teaching on our programmes: facilitating Problem Based Learning sessions, delivering workshops and plenaries and leading clinical reasoning sessions across a range of clinical areas. Students appreciate being able to play an active role on their GP placements: ”Lots of opportunities given to do different activities e.g. venepuncture, history taking, observation, home visits, district nurse attachment.” “Other members of staff at the practice are great - give helpful feedback, are patient and friendly, ask us questions to test our knowledge, and seem genuinely interested and excited about helping us learn/develop.” “Being able to see patients separately, practise feedback to the GP with every patient and the opportunity to suggest a diagnosis, investigations and management plans about some patients.” “It allows us to experience what being a GP is like, but gives us our independence and a chance to challenge ourselves."